Is cash the most ‘efficient’ Christmas gift? Some economists think that Christmas gift-giving is a big waste of resources, and that cash is a much more efficient present. 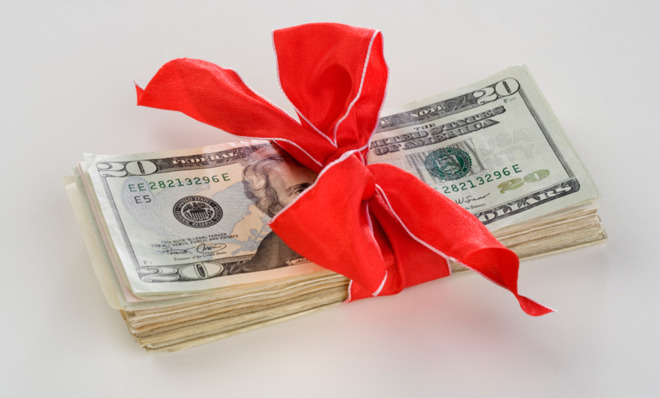 When giving specific gifts, people often get things they don’t want, which is a waste of resources.An estimate by Wharton Professor Joel Waldfogel suggests that 20 percent of gift giving money is wasted this way. Woldfogel argues that a person who spends $100 on himself or herself will presumably spend that money on something that actually nets them $100 worth of satisfaction. But when another person spends that amount on a gift they may end up getting a painting of a cat for a dog-lover, a sweater in the wrong size, or a coffee maker for a tea drinker, etc. Woldfogel argues it would be much more efficient to just give cash, so that the recipient can spend something that nets $100 worth of satisfaction.